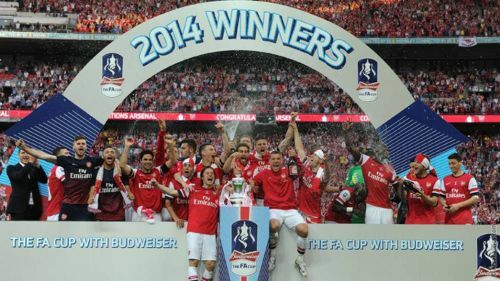 Arsenal beat Hull City 3-2 in the additional extra time at the Wembley Stadium to end their 9-year trophy drought. It was Arsenal's 18th appearance in the FA Cup Final. En-route the final, they beat Tottenham, Coventry City, Liverpool and Wigan Athletic with all the matches being played at their home, the Emirates Stadium, in North London. Arsenal was without their captain Vermaelen, wingers Walcott and Oxlade-Chamberlain due to injuries. To everyone's surprise, Hull City scored twice within 10 minutes thanks to Chester and Davies's goals. But when everyone thought it was over, in the 16th minute, Santi Cazorla scored a free kick over the right top corner to make the score 1-2. The score remained the same until the half-time whistle. In the second half in the 71st minute, Arsenal equalized with a Koscielny goal. On the 109th minute when everyone was dead on their feet and was expecting penalties, Aaron Ramsey scored a goal, which may be the most important goal in his career that sealed gunners a silverware after 3283 days. Let's take a look at the present status of players who ended the trophy drought of Gunners. Fabianski was the goalkeeper in the historic final. He made a couple of penalty saves in the semi-final to ensure a place in the final. At the end of the season, he joined Swansea City on a free transfer and went on to become one of the best goalkeepers in the Premier League. Lukasz represented Poland in their disastrous World Cup 2018 campaign. 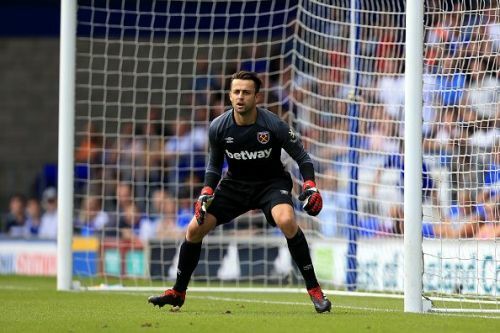 Now, Fabianski is the first choice goalkeeper of West London Premier League outfit West Ham United.